The HVAC system is one of the hardest working parts of your home. You lean on your air conditioner throughout the warm summer months to keep your home in Seguin cool and comfortable. In the brisk fall and winter seasons, your heating systems keep things cozy and warm. But since these HVAC systems work all year long, they’re prone to wear and tear. If you’re in need of HVAC Services in Seguin, it’s best to call Legacy Services Air Conditioning and Heating. We’re a Top Rated Local® HVAC service for a reason. We offer all of the HVAC services you could ever need to keep your home comfortable every day. Whether you’re experiencing an HVAC emergency or you just need a quick maintenance call, we can help. Air conditioner making a weird noise? Heat pump not working? Let us take a look! We’ll inspect your HVAC issue and use our expert insights and experience to accurately diagnose the issue. We’ll walk you through your options, and help you make the best decision. We won’t start working until you authorize the work. We can repair your HVAC units, and if need be, replace them for you with a more efficient model. We’ll explore options that work best for your home and your budget, ensuring you get the perfect HVAC unit for your needs. While we might perceive our homes as being clean and well maintained, that doesn’t mean that the quality of the air inside our homes is equally clean. We want you to breathe easy when you spend time in your home. That’s why we offer our excellent air quality testing services. We can identify sources of molds, mildews, and germs that can have an impact on your health. By using EPA approved ultraviolet lights, medical grade air purifiers, HEPA media filters, and ERV fresh air systems, we can help you solve your indoor air issues. We can also replace the HVAC ducting in your home, making it more efficient, and helping to improve your health. A quick Google search for something like “air conditioning service near me” will yield hundreds of results from dozens of companies, all promising they have the best prices. But what starts as a $50 service call special quickly becomes a maintenance bill for far more. 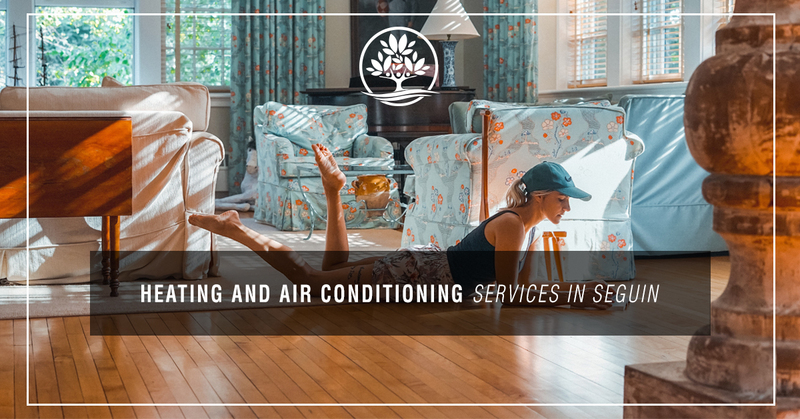 We take our commitment to customer service seriously, and part of that is by making our HVAC services available to everyone through financing options and frequent specials. Replacing your HVAC unit can be a costly endeavor, and may not always come at a convenient time. To make this process less of a financial burden, we’re proud to offer our clients competitive financing rates that include 0 percent APR for up to five years. We also offer a variety of financing options that make our HVAC services accessible and affordable. There’s no denying that HVAC services and systems can get expensive. That’s why we regularly run specials on our services that make them even more of a bargain than they already are. Check with us throughout the year to save time and money on our services. Our HVAC company is committed to our values of integrity, honor, service, and reliability. It’s the reason we’ve been a trusted name in the Seguin community for more than 30 years. 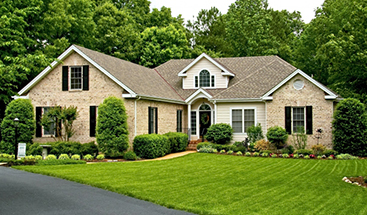 We’re licensed, insured, and we guarantee 100 percent of our work. Dealing with your HVAC system can be stressful enough, that’s why we don’t use pushy sales tactics. Instead, we offer free, no hassle quotes and estimates, and are more than happy to offer you a second opinion on a work bid from another HVAC company in Seguin. Plus, we’re always there for you when you need us most, as we offer 24-hour services for all of your pressing HVAC needs. Ready to schedule a service call, or inquire about our new HVAC system options? Give us a call today.